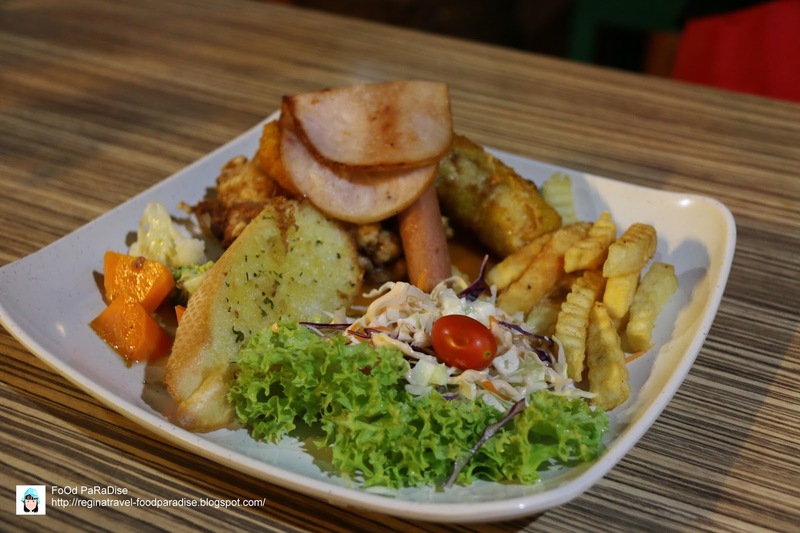 FoOd PaRaDiSe: Wooden House Cafe 木屋咖啡 @ Chew Jetty, Weld Quay, Penang. 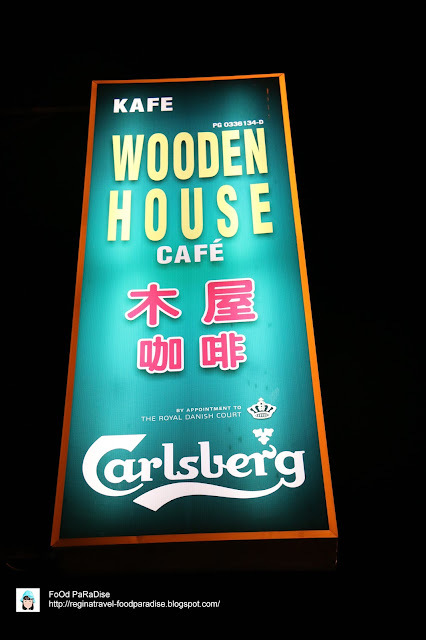 Wooden House Cafe 木屋咖啡 @ Chew Jetty, Weld Quay, Penang. 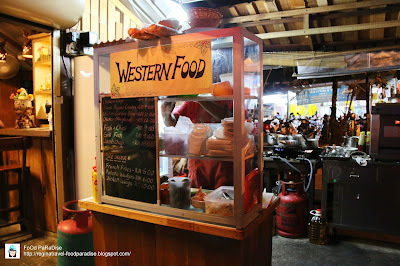 Not sure if you aware of a western food stall at Chew Jetty, Penang. It is actually on the main road of Weld Quay. It is operated in a coffee shop name Wooden House Cafe 木屋咖啡. No.1 Chew Jetty, Weld Quay. Penang. The mushroom soup came with a piece of garlic bread. The mushroom soup is filled with lot of mushroom chunks. 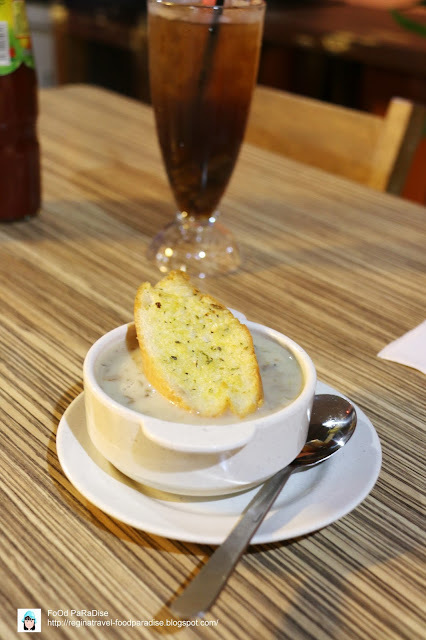 If you are a mushroom lover you will love the chunky mushrooms inside the creamy mushroom soup. The Chicken Pie should be a new addition to the menu. 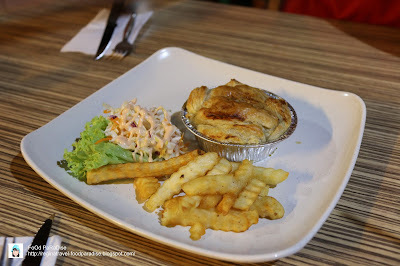 As when hubby placed his order at the food stall, the owner highly recommended him to try the chicken pie. Well, the chicken pie is not bad and be warned that as the pie is a bit creamy version. If you not really like creamy type of pie, I think you can omit it. 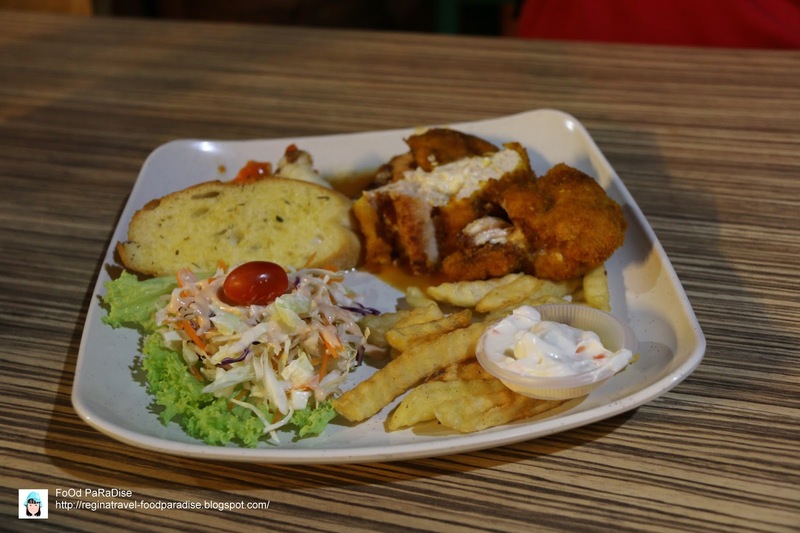 Hubby and I saw the menu list with Chicken Cordon Bleu, both of us were reluctant to order it but my princess was a cheesy type of person. When we told her that it involved cheese, she automatically order that for her dinner. Hubby ordered this for his dinner. 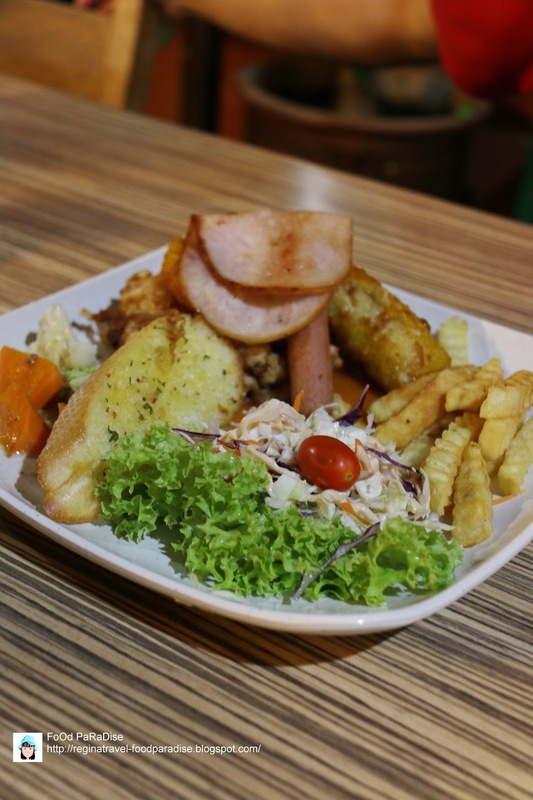 Well, honestly speaking this plate of Chicken Maryland is loaded with many food in it. Such as Chicken Maryland, sausage, pineapple, vegetables, deep fried banana, ham, garlic bread, coleslaw and french fries. 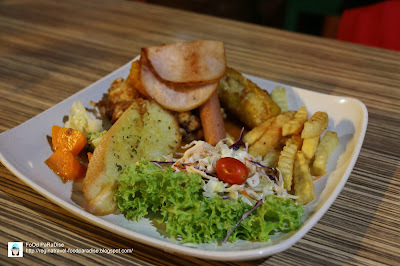 With this portion of food, it just cost RM12 which is I think is quiet cheap. 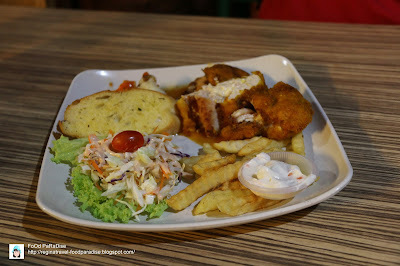 I tried the Chicken Maryland is very tender and juicy. Which I think I will order this in my next visit. 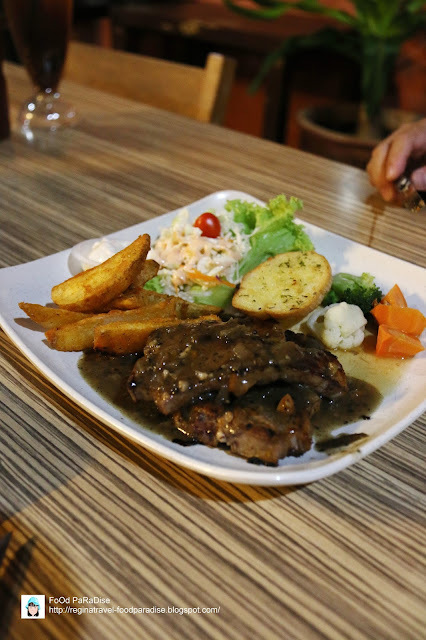 Their lamb chop is grilled and coated with black pepper sauce. Well, both my princess and hubby commented that it has very strong black pepper aroma. The lamb is very tender and juicy. 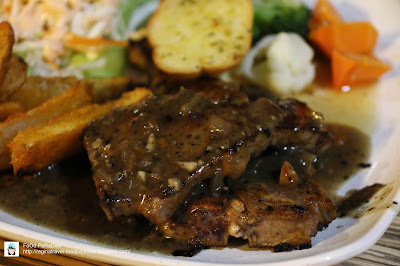 My plate of lamb chop came with coleslaw, potato wedges, garlic bread, lamb chop and vegetables. I love the potato wedges. It is crispy in the outer part of the wedges and inside is very soft. Yum!